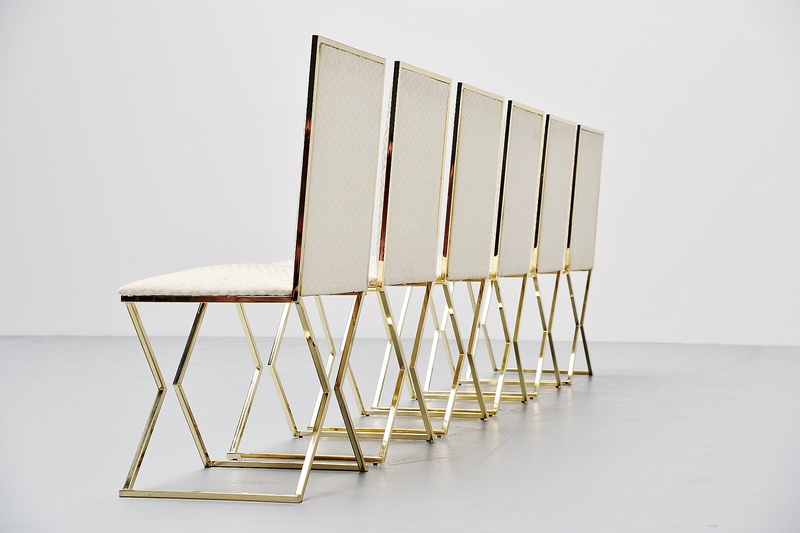 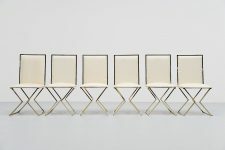 Unusual set of dining chairs by Romeo Rega, made in the Romeo Rega studio, Italy 1970. 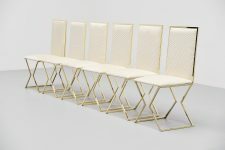 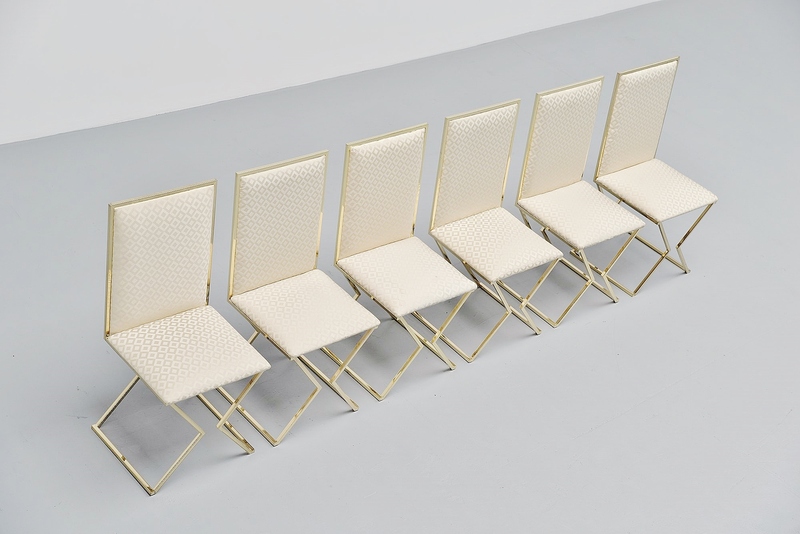 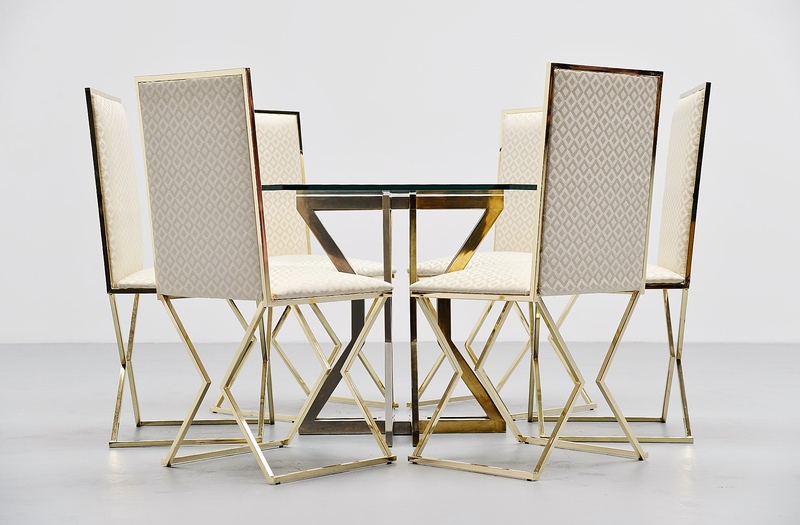 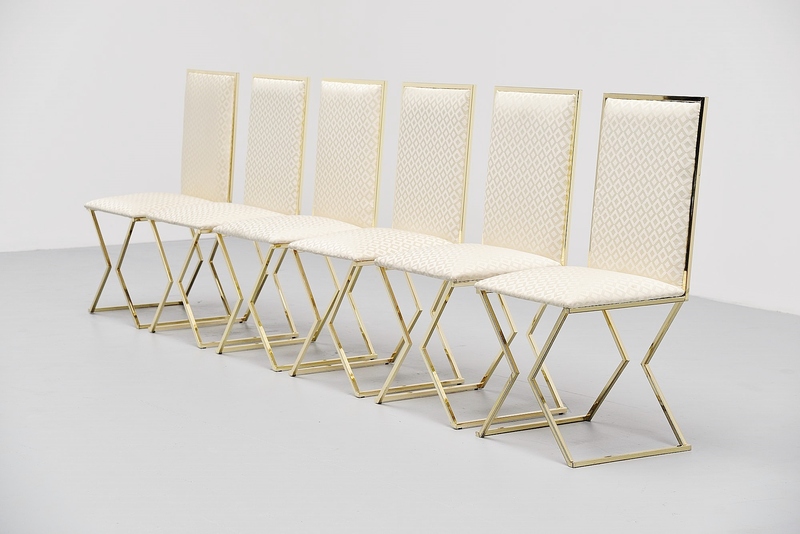 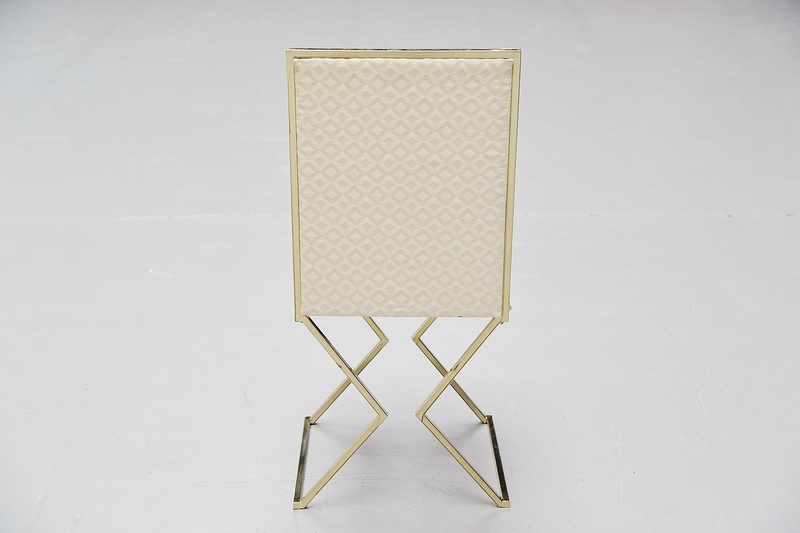 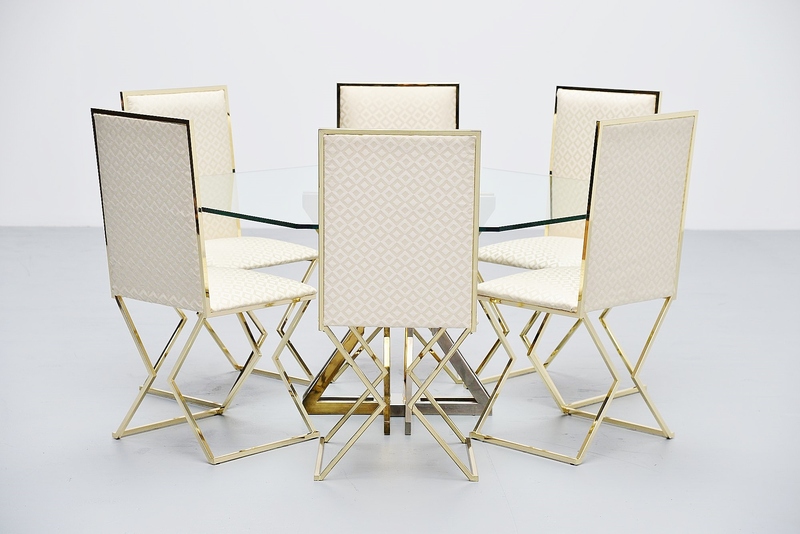 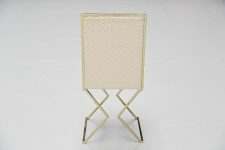 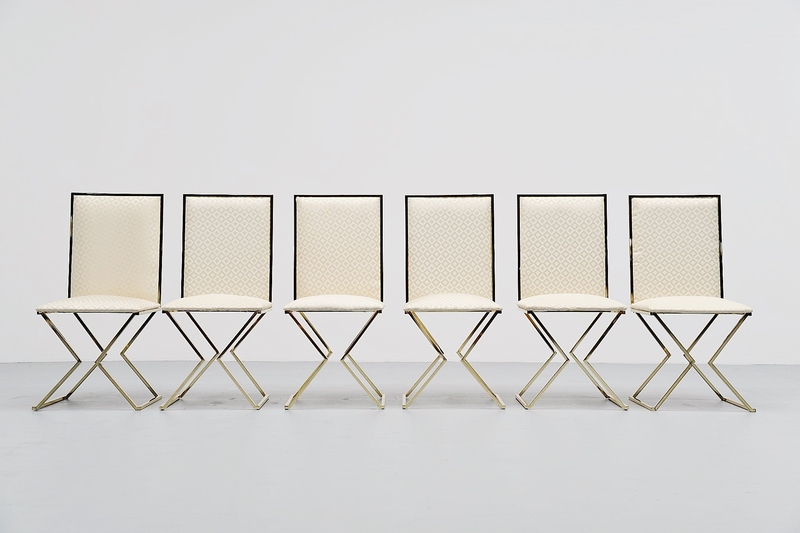 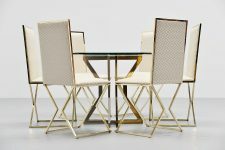 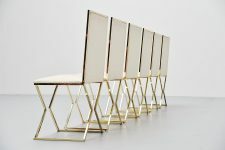 These high back dining chairs have a brass plated metal cross shaped frame and very nice original graphic upholstery. 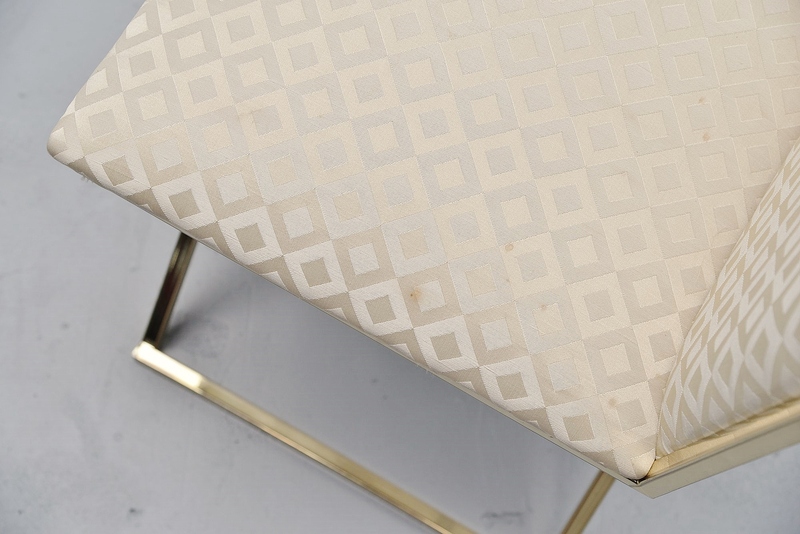 There are some little stain marks to some of the seats but the upholstery is so nice that we wanted to keep them original as they are. New upholstery is possible. 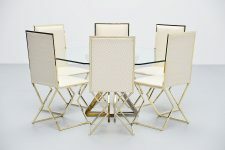 Very nice set of 6 chairs and great to match with the Romeo Rega octagonal dining table we have in stock.